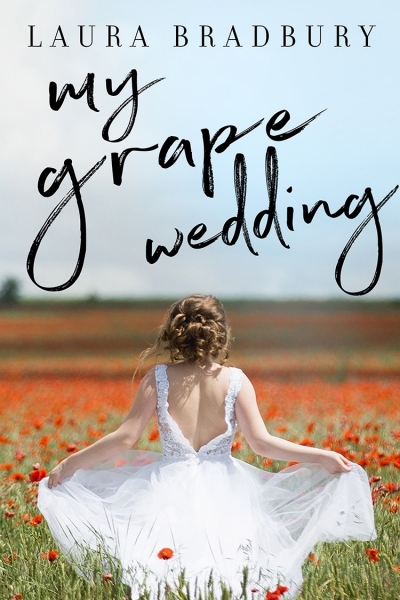 My Grape Wedding takes fans of Laura Bradbury’s Grape Series from London to the enchanting world of Burgundy five years after Franck and Laura met on a student exchange. After a spontaneous proposal in Kathmandu, the bride-to-be struggles with balancing the academic demands of Oxford with lessons on how to be a proper Catholic and fittings with the Queen of England’s corset maker. Once in Burgundy. Laura’s anxiety grows as wedding plans fall apart. As guests arrive, the rain clouds move in, family wine tastings turn into survival of the fittest, and a bombshell from the priest leaves the couple looking for divine intervention. Laura believes she and Franck belong together, but how will they survive this tumultuous journey to the altar?